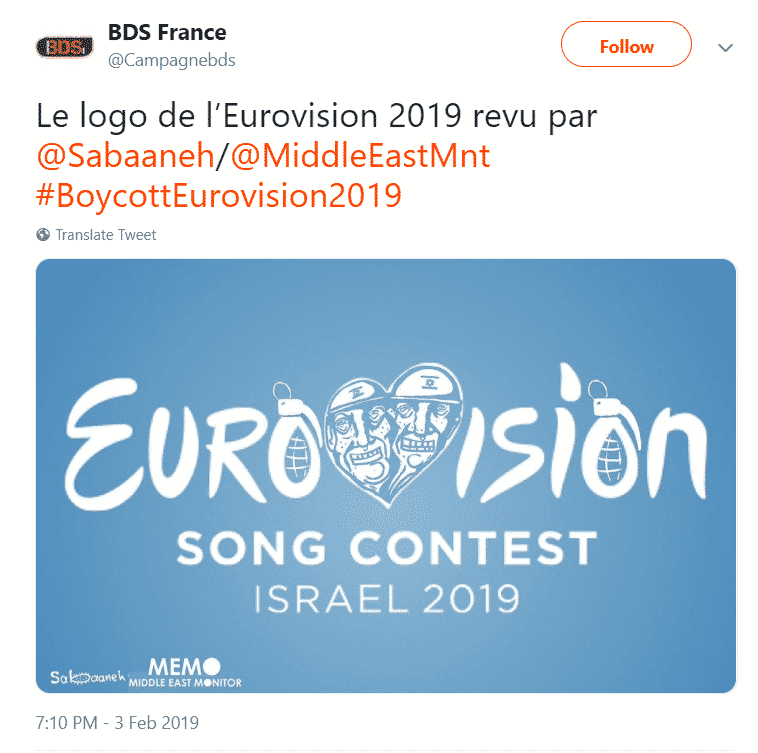 As part of the BDS movement’s campaign to influence countries to boycott this year’s Eurovision song contest in Israel, BDS France have come out with this spoof Eurovision logo. 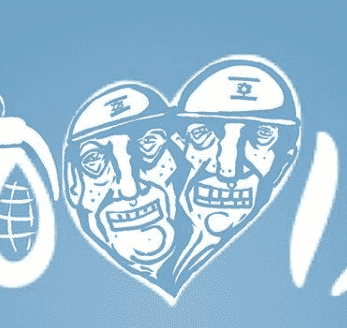 Grotesque features (including long noses) and the Star of David on the helmets…or are they skullcaps? 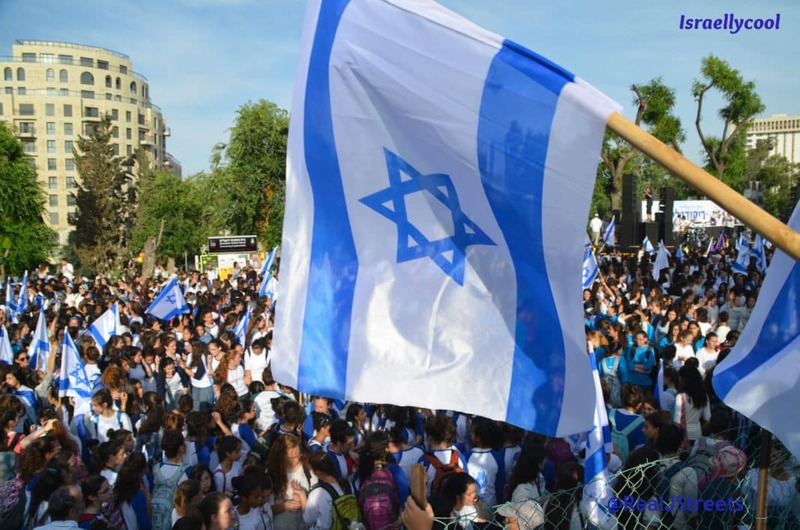 Oh BDS, what a shame you are so terrible at hiding that contempt for Jews that you have. You might have actually gotten somewhere had you been able to keep it (as well your terrorist connections) under wraps.